The GRIT Freedom Chair gives you the mobility you need to spend time with family and friends without having to think about your mobility. Its easy-to-push lever drive and stable frame means that you can focus on making memories with the people you love. 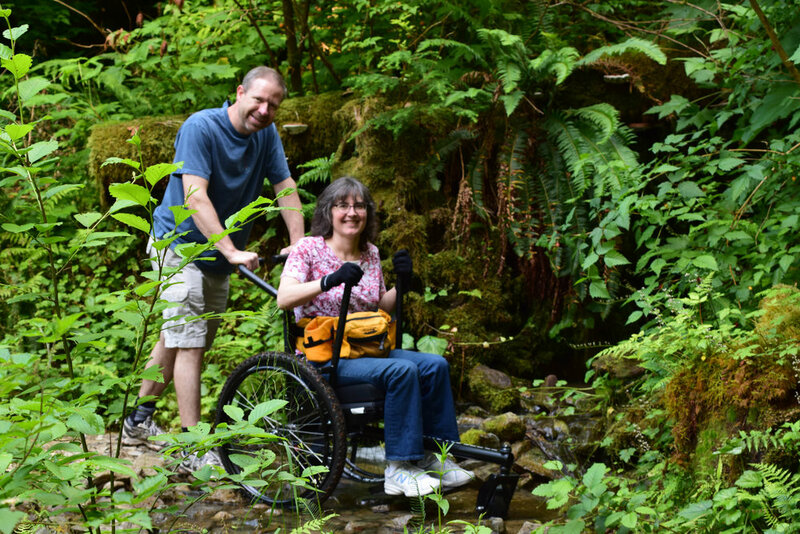 With the GRIT Freedom Chair you can enjoy your favorite activities with your favorite people. There are so many adventures to be shared: from tandem trailblazing with your partner, to family picnics in the park, to chasing after kids and grand-kids! The lever drive takes the physical stress out of pushing yourself around, helping you to focus on having a good time with the people your friends and family. The GRIT Freedom Chair quickly disassembles to fit in the the trunk of a small car, making it easier than ever to get to your next adventure.